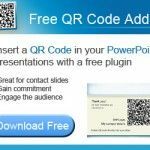 LiveWeb addin is a free addin for Microsoft PowerPoint that enables you to insert and view HTML in your PowerPoint presentations. You can use LiveWeb to insert web pages into a PowerPoint slide and refresh the pages real-time during slide show, allowing you to make amazing PowerPoint presentations with real time information. For example, you can use the addin to display charts in a web page that are retrieved or gathered from your business analytic information server or business intelligence solution including SAS, SAP, Pentaho, Hyperion BI or more. 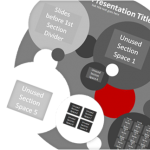 Then you can display web pages without ever leaving the confines of your PowerPoint slideshow. The good thing is that no coding required and you don’t need to get assistant from your IT deparment. LiveWeb works with documents off your local drive too, making this a good solution to expedite PowerPoint presentations with static HTML files that already have information or examples to show in a demo. You can specify relative paths or absolute paths. LiveWeb will also look for files in the presentation folder if the files have local drive information and cannot be located at the location specified by the user during slideshow. The addin encapsulates the need to insert a web browser control manually and write code to update the web pages within the control during the slide show. It consists of two components. Wizard component – Create a list of web sites which you wish to add to the slides. Real-time update component – Automatically refreshes the page every time you visit the slide which contains the web browser control. With LiveWeb you can display acrobat documents (PDF) , java applets, VRML etc within the slide show real-time. 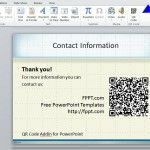 LiveWeb for PowerPoint can be a very useful addin for PowerPoint presentations and business needs.